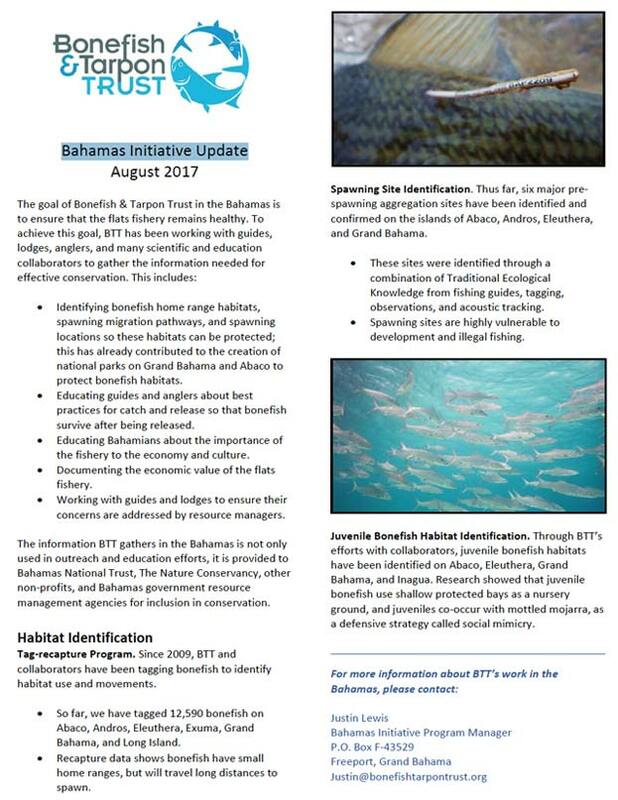 The Bahamas Initiative is a BTT research and conservation program designed to provide information essential to successful management of the bonefish fishery in The Bahamas. This information can then be used by guides and lodge owners, in conjunction with The Bahamas government, to create effective fish and habitat management plans. A recent economic study that was conducted as part of this Initiative documented the economic value of the recreational bonefish fishery in 2009 at $141 million, and underscored the importance of this fishery to the culture and sustainability of the Bahamas Out Islands. 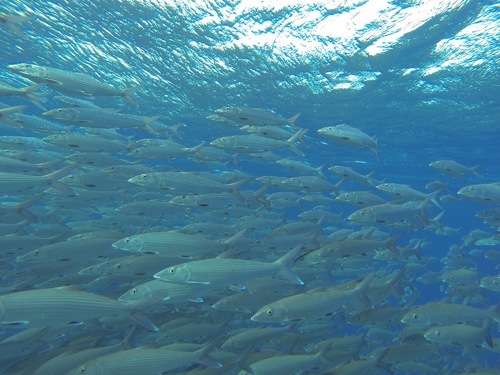 This document outlines objectives and funding needs for successful completion of The Bahamas Initiative, a program designed to provide information essential to successful management of the bonefish fishery in The Bahamas. 1) The Bonefish Research Program is designed to provide urgently needed information on bonefish throughout the Bahamas. Without sufficient information on bonefish biology and the fishery, effective management and conservation are not possible. 2) Recent research has revealed large gaps in our knowledge about bonefish, and has revealed that many of our assumptions about bonefish were not valid. We need to fill the information gaps and correct the assumptions to ensure healthy bonefish fisheries. 3) This research program is a multi-year collaborative program that will involve participation by fishing lodges, guides, anglers, and conservation partners.